WCFC Ultimate Hockey Give Away! With 2015 right around the corner the countdown to another fishing season is on. If you haven’t booked your trip for the upcoming year or are looking for a unique gift for the holiday season look no further, as we have the incentive for you with our WCFC Ultimate Hockey Give Away. 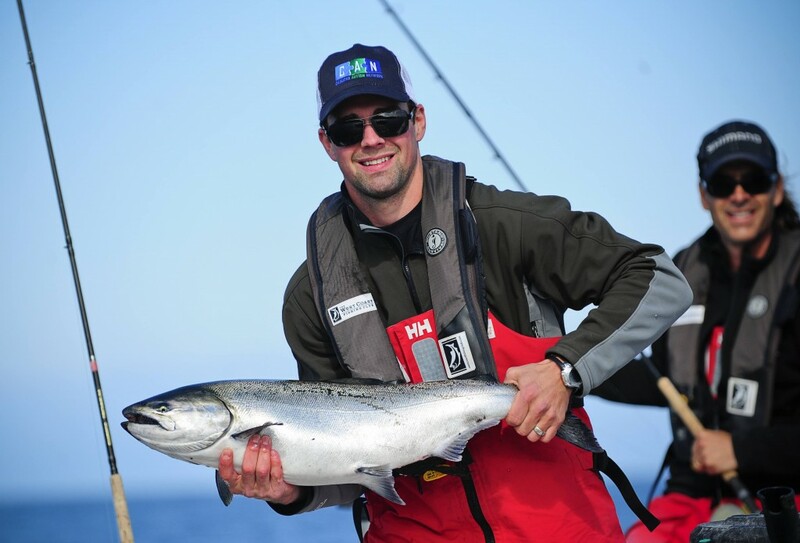 * Dan Hamhuis, Vancouver Canucks defenceman and Gold Medal Olympian, participating in the Fishing for Kids Tournament. Book your 2015 fishing trip to any of The West Coast Fishing Club locations with full deposit before December 31st and be entered to win our Ultimate Hockey Give Away, to watch Dan Hamhuis and the rest of the Vancouver Canucks at a game at Rogers Arena in 2015. BOOK NOW! There will be two winners awarded one for local residents of Vancouver and one for out of town. CALL US TODAY at 1-888-432-6666 or click here to fill out an inquiry online! *To enter the contest your booking must be made before December 31st with full deposit. Please click here for full list of contest rules and regulations.